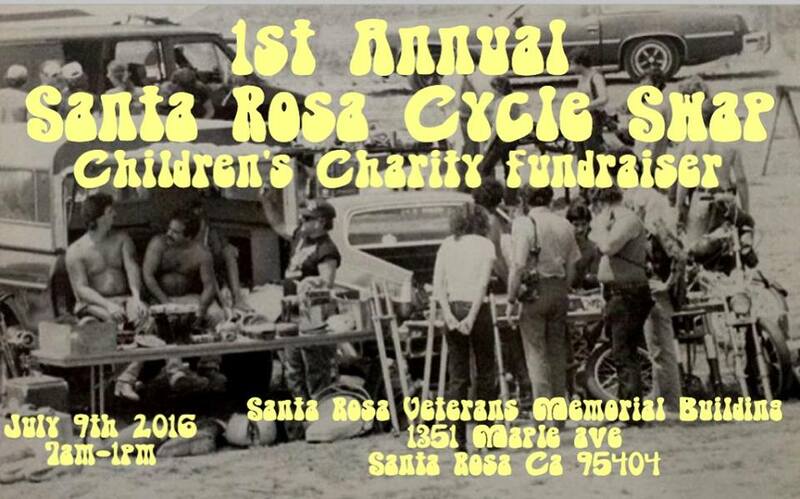 Join us Saturday July 9th, at the Veteran’s building for the 1st Annual Santa Rosa Cycle Swap, will be on site grilling and chillin and playing tunes , come hang ! Two chosen family’s with children living on dialysis will receive 100% of proceeds from event. Various raffle prizes with proceeds going towards the family’s with a chance at winning a turn key chopper. Ride after event cleanup to campsite. Open donations available all day for family’s. No coolguy additudes, no new boots and this is a family event you wanna party thats why there’s camping. visit their Facebook event page for updates.